Are you still hanging onto the notion that a low-fat diet is the ticket to weight loss? If so, it’s time for a change. nutrition organizations continue to advocate a low-fat diet. But that advice has led people astray into a heavier and sicker state than ever. The research is not there to support a low-fat diet for long-term weight loss, and a low-fat diet appears to have little to no effect on cardiovascular disease in the long term. In fact, the sheer lack of research supporting a low-fat diet is so strong that a 2014 Time magazine cover story deemed the low-fat diet a failed experiment. Eat sugar comes with bitter health consequences – see my article A Reminder about The Bitter Truth About Sugar – and just this week a new study came out that estimates that sugary drinks alone kill 184,000 a year through diabetes, heart disease and cancer (see story). 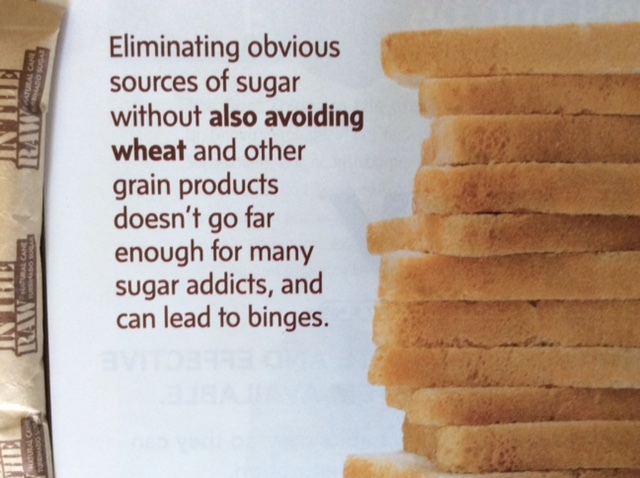 Even knowing the risks of sugar, many people are addicted to sugar and have a hard time eliminating it from their diet. So, how do you kick the habit and adopt a sugar-free diet when the sweet stuff is so hard to resist? Here are three plans.